Don’t be afraid of us. Don’t be afraid of sending us your CDs and storing them in our secure facility. Don’t be afraid of accessing rips and downloads of your CDs. But do be afraid, very afraid, of becoming a hoarder. 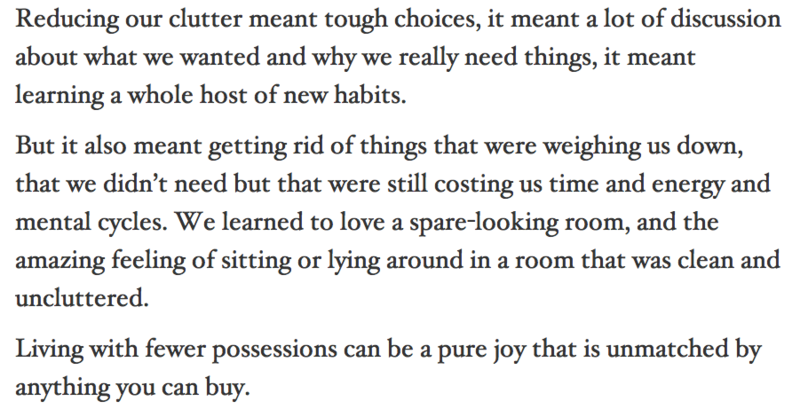 If you’re on the borderline of becoming a bona fide “person who accumulates things and hides them away for future use,” read this blog post by Leo Babauta, creator and writer of Zen Habits. It’s about learning how to get rid of things and freeing yourself of extra burdens. 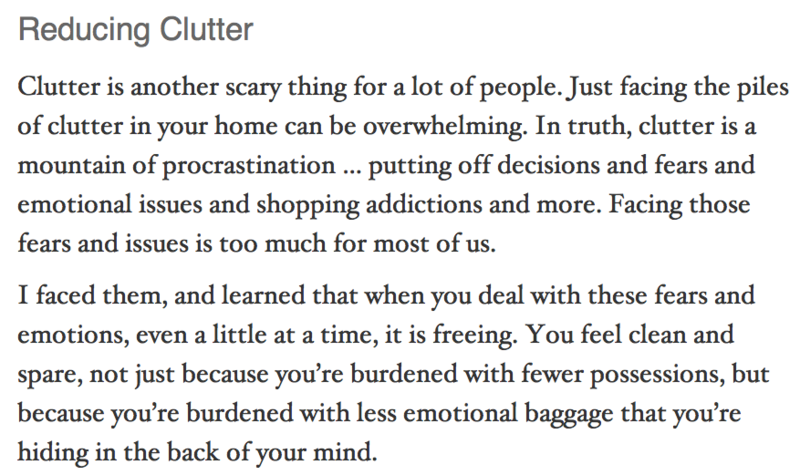 For us music lovers, the best section is on “Reducing Clutter,” so I’ve posted it below. Read it, and then recite this three times: The only thing we have to fear is fear itself.